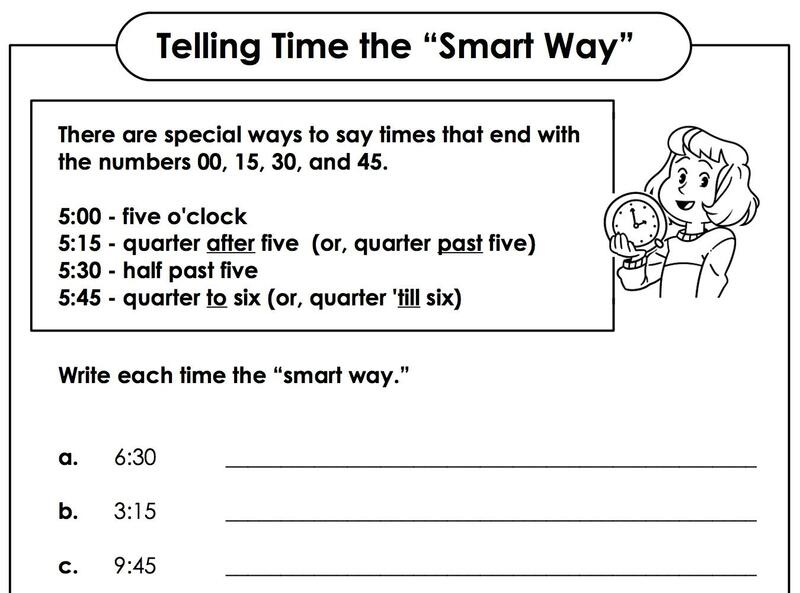 I would think the work sheet is about teaching English, not math. In either case, how is it “smart” to use those terms? I agree we should all be on the lookout for those embedded ideals in our teaching resources and demand changes from publishers when we find them. Dan, thanks for showing some fun Desmos tools and articulating these ideas about smartness and public consensus. My background is secondary mathematics so I was surprised as any to see that telling time is a primary math standard! When was that supposed to have happened? See the links in the post? I had a conversation not so long ago with my in-laws, who are both in their 90’s and come from science backgrounds. They observed that when they were growing up the “really smart” people did classics and humanities, and they found it interesting that things now seem to have swung the other way. I have a child of my own who wrestled mightily with his attraction to social sciences because everyone told him he was smart and so he ought to be doing maths. There’s a world of culture wrapped up in it. For my own part, I’m sorry to admit that I’m probably guilty to some extent of reinforcing the notion of “smart”. If I have kids working on a problem which can be solved slowly with a massive effort of computation, or more quickly using one “smart shortcut”, I will encourage them to look for the shortcut. By “smart” I mean something that recognises and takes advantage of the underlying mathematical structure. Maybe I need to find another word other than “smart”. We talk about “elegant” solutions. Does “elegant” carry the same value judgement? Does “elegant” carry the same value judgement? Definitions of elegance are culturally determined outside of mathematics, so I imagine the same is true inside of mathematics. Maybe you can help me with an example of a thing that does and doesn’t “take advantage of the underlying mathematical structure.” There’s something there that’s important to you and it’s worth figuring out how to communicate it to students without denigrating or elevating their culture. With apologies for the delayed reply (last week of term) … These are a few examples, drawn from recent experience, of what I would consider to be a “smart shortcut”. 1. Understanding of place value : why count on for 43 if you can add four 10’s and three 1’s and be done with it? 2. Permutations and combinations : yes, when selecting (and/or ordering) items from different categories, you could write out an exhaustive list and then count the possibilities, but for large sets it becomes much more manageable if you recognise that you can get the answer with a bit of multiplication. 3. The Locker Problem : I always have a few kids who want to draw all the lockers and then keep a running record of what happens to each of them, but the answer never materialises until someone has spotted the squares pattern below 20 or 30 and then extrapolated. Of course, the question of “why the squares?” is the next (and arguably more important) step. I’m always careful to point out that brute force will solve the problem, you’ll get a perfectly fine answer that way. But there are usually different ways of getting the answer, and I will often invite students to comment on which ways they like best and why – hoping they will identify the solution which is most succinct, requires less number-crunching, etc. I think this is what mathematical “elegance” is about, and I’m not sure that I agree that it is culturally defined. I wonder is it a question of WHY the problem needs solving? If you just want an answer, then anything will do. But if you’re trying to get people to learn through problem-solving, then you want them to find the shortcut – in fact you’ve probably engineered it so that they will prefer that shortcut, whether or not it’s identified as “smart” or “efficient” or “elegant”. You guys would love Catalan. Although it varies from region to region, the “standard” way to tell the time is to say “un quart de sis” (a quarter of six) to indicate 5:15, “dos quarts de sis” for 5:30 and “tres quarts de sis” for 5:45. It is even better when a radio announcer says “un quart i mig de sis” (a quarter and a half of six) to indicate a time around 5:20ish – I guess it’s technically 5:22:30? I always tell my students math is for lazy people. We do not look for “smart” ways to solve problems, we look for “lazy” ways to solve problems. I teach programming also. That is for the really lazy people. Love it. Objectively, some solutions require fewer operations than others. I’m thinking about solving a system by guessing-and-checking and by substitution or elimination. I think I’d still want to qualify the value I attach to that kind of efficiency / laziness though. I’d like students to use the most efficient solution that also makes sense to them because the value of efficiency I don’t understand is pretty limited. The average person lives better than ever before. And that includes the poor of the 3rd world. (On average — I would hope that mathematicians understand that exceptions do not rule out an average being meaningful). This is entirely unnecessary snark about mathematicians. It would unnecessary about politicians, come to that (although perhaps not entirely). The idea that the world is getting worse, even as we live in increasing ease across the globe, appears to be inbuilt into people. That doesn’t make it right though. That’s a non-sequitur. Whatever global macroeconomic trends are true, it also true that some extremely credentialed mathematicians with degrees from elite universities invented the financial instruments and mathematical models that wiped 4% off the global GDP in 2008.